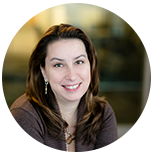 Tabitha Dunn currently serves as the Vice President of Customer Experience at Concur Technologies, an SAP company. In this role, she leads the efforts on building out the customer experience (CX) strategy, the roadmap for driving CX improvements in all six CX disciplines, and she is responsible for the centralized CX programs such as the Net Promoter Score customer listening program and the journey mapping center of excellence. Prior to joining Concur, Tabitha built and led the Customer Insights practice for Citrix as the Managing Director of Customer Insights and developed the CX programs for the Healthcare division of Philips as the Global Director of Customer Experience. With 15+ years of experience in the CX field, Tabitha also serves on the Board of Directors for the Customer Experience Professionals Association and is a Certified Customer Experience Professional (CCXP).